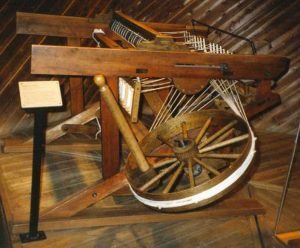 English inventors in the 18th century began to automate textile cottage industry processes including carding, spinning and weaving. 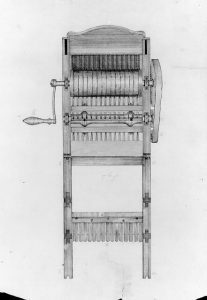 James Hargreaves developed the Spinning Jenny, a device which replaced eight hand spinners in one operation. Richard Arkwright assembled these processes and started the first factory on the Derwent River in Cromford, England in 1771. Following the American Revolution, several founding fathers felt manufacturing should remain in England. Alexander Hamilton felt otherwise and wanted to establish a model mill village in Paterson, New Jersey. His ideas were ahead of their time. The “National Manufactory” went out of business in 1796. Samuel Slater of Rhode Island visited several mills owned by Arkwright and associates, memorized the essential features and returned to the US. In 1792, he opened a yarn spinning mill in Pawtucket, Rhode Island, the first successful automated yarn spinning in the US. In 1814, James Cabot Lowell of Boston built a factory in Waltham, up the Charles River from Boston. Later, the Boston Associates built an entire mill town on the Merrimack River, and later named it “Lowell” in memory of James Cabot Lowell. In the early 1800s, cotton was raised in the southern United States and exported to mills in England and the north. Leaders such as William Gregg of South Carolina advocated a home-based textile industry for the south but the time was not right. 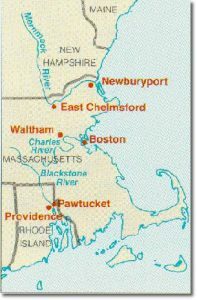 Northern mills resisted the growth of mills outside New England. 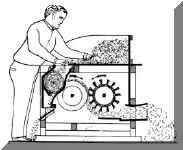 Textile machinery was built in New England and New Jersey and imported from Europe. After the Civil War, the south slowly replaced slaves with free workers. The industry remained largely in the north until after the 1880s. Leaders such as Edwin Michael Holt and family of Alamance County, North Carolina built mills in large numbers throughout the south as the 19th century closed. Glencoe Cotton Mill and mill village are preserved today. www.textileheritagemuseum.org Cotton mills in New England began to decline in importance. Merchants contracted for goods through agents. The Cone family moved from Baltimore to Greensboro and brokered sales. The Belk family bought goods from Cone to sell in the dry goods stores. Merchants such as Marshall Fields of Chicago bought goods from mills through intermediaries. Later, in order to better control supply, the Cones and the Fields built mills of their own, e.g., Cone Mills and Fieldcrest Mills. Machinery was imported from the north and from Europe. World War I and the naval blockage imposed by England on German shipping, and the use of U-boats by Germany to harass English vessels brought the realization that the United States must be independent of England and Germany for machinery and dyestuffs. 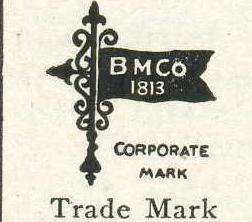 New companies emerged to satisfy the war effort and remained strong for several decades following the war. World War II once again emphasized the need for self-sufficiency. Following the war, however, imported machinery and dyes, especially from Germany and Switzerland, once again supplemented and eventually replaced domestic supply. American textile companies thrived with the use of imported machinery and dyestuffs. A dyes and colorants web site developed by Dr. Robert Baptista explains these developments. In the 1990s, a new world order began to replace the Made in the USA ideas. Buying from the lowest cost producer drove many textile manufacturers out of the production side and into imports. Manufacturing companies changed to marketing companies. Another site devoted to the history of textiles and paper making has been developed by Peter Metzke, Melbourne, Australia. Source: Dunwell, Steve, The Run of the Mill. Boston: David R. Godine – Publisher, 1978. An excellent discussion with many illustrations of early technology and mill development.